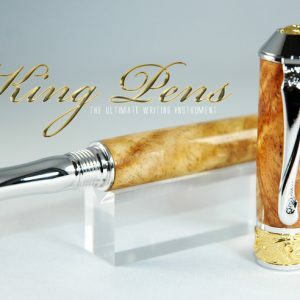 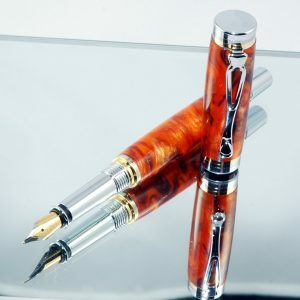 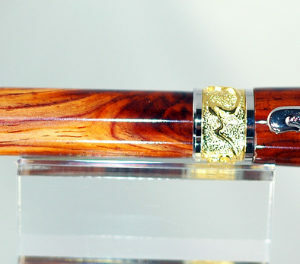 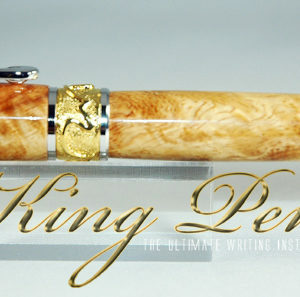 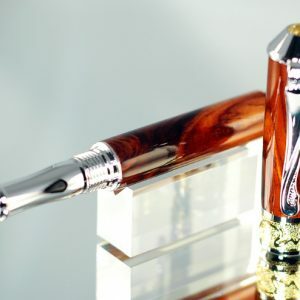 The “William the Conqueror” Fountain Pen is made from Red Mallee Burl wood, this pen is accented in 22K Gold and Rhodium. 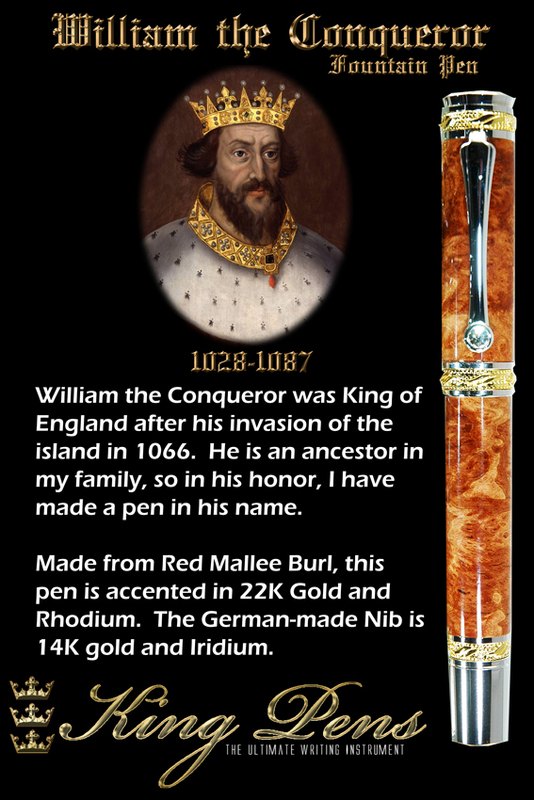 The “William the Conqueror” Fountain Pen is made from Red Mallee Burl wood, this pen is accented in 22K Gold and Rhodium. 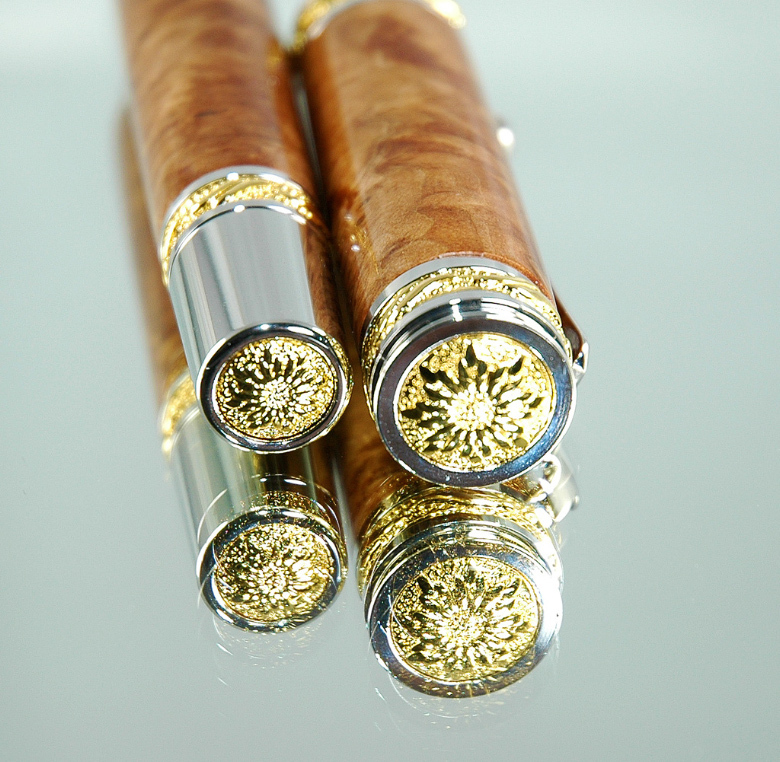 It also features a Swarovski crystal embedded in the clip. 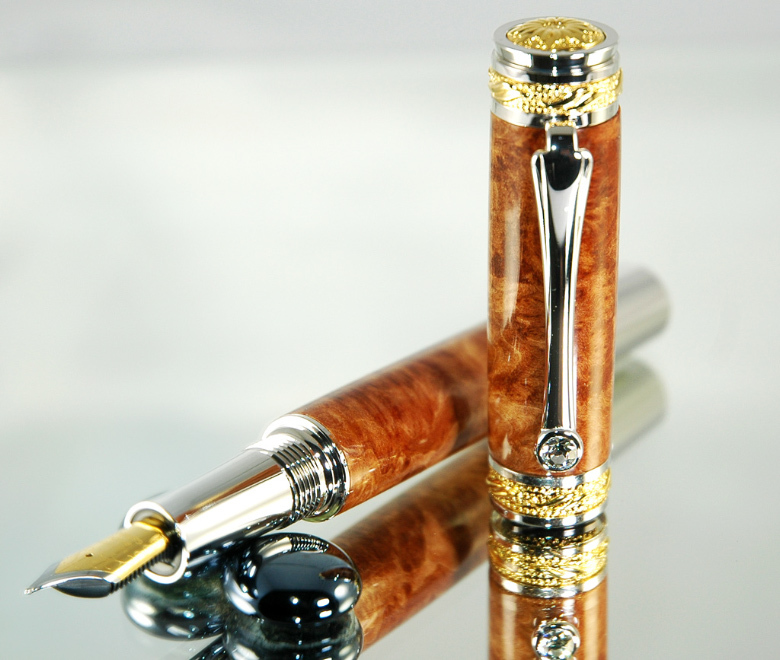 This pen is majestic and beautiful as any pen could be. 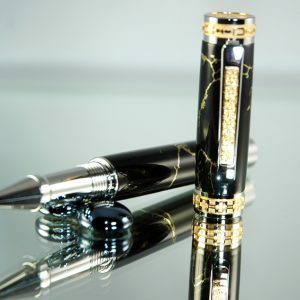 It comes in a black lacquered window display box for admiration when not in use. The details in the cap and end are flawless and beautiful as well. 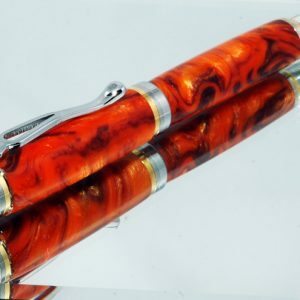 If you are a collector, this is a nice pen to add to your collection! 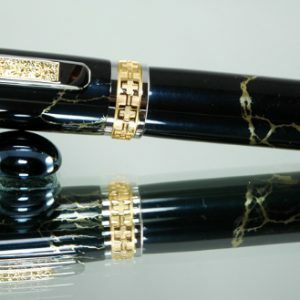 All exposed accent rings, bands and caps include elegant custom hand-carved 3 dimensional designs; Components are cast, polished then plated with extremely durable 2-micron 22kt gold plate plating; Its regal profile is accented with brilliant rhodium-plating on all components and has a flawless fit and finish; The finished project is complimented with superb balance, superior writing characteristics and an overall stylish, polished & elegant appearance.